An example of the robust M&A activity in the industrials sector is the €40.5 billion proposed merger of Praxair, an American industrial gases company, and Linde, a German supplier of industrial gases, which was the highest valued deal announced across all sectors in Europe in 2017. In February 2018, the European Commission announced the launch of a Phase II investigation under the EU Merger Regulation to assess the proposed Praxair–Linde tie-up because of concerns that the deal would hurt competition in the supply of gases. However, if successful, the merger will create the world's largest industrial gases supplier in a market that has become highly consolidated as a result of a wave of combinations. Another major deal in the industrials and chemicals sector was German Bayer's proposed US$66 billion purchase of Monsanto, an American agrochemical and agricultural biotechnology corporation. In March 2018, the European Commission approved the proposed transaction, in connection with which Bayer has also agreed to sell some of its herbicide and seed businesses to BASF, a German chemical company, to alleviate the European Commission's competition concerns. The proposed Bayer–Monsanto deal is the third in a number of recent mega-mergers in the agrichemicals industry. Despite the political uncertainty that continued to be the backdrop for European M&A activity in 2017, the 2.5 per cent growth of the eurozone economies and the lowest level of unemployment since 2009 led to a more stable market and boosted confidence.13 The healthy state of the M&A market in Europe continued into 2018, with total deal value reaching the US$250 billion mark in Q1.14 Six deals in this quarter surpassed the US$10 billion mark and helped deal-making in Europe reach its highest Q1 value since the financial crisis.15 The uncertain outcome of the Brexit negotiations is likely to remain a factor that market participants will consider before making significant investment decisions. However, as companies learn to navigate uncertainty in Europe, and given the low yields environment, it is hoped that market participants will feel confident enough to continue making deals and choose to invest in growth through the acquisition route. Phase I of the Brexit negotiations concluded in December 2017, with the European Union and the United Kingdom reaching a broad agreement in the form of a joint report on three headline issues: citizens' rights, the UK's financial obligations on exit and the options for managing the Irish border issue. Phase II of the negotiations concluded in March 2018, with negotiators having reached consensus, among other things, on the terms of a 21-month transition period to follow formal departure from the European Union in 2019. The EU's draft Withdrawal Agreement published on 28 February 2018, and revised on 15 and 16 March 2018, describes the arrangements for withdrawal of the United Kingdom from the European Union. The draft is subject to discussion with the European Council and the Brexit Committee of the European Parliament, following which it will be formally put the United Kingdom as the basis for negotiation. At the time of writing, the European Union (Withdrawal) Bill16 is scheduled to begin its third reading in the House of Lords. Among other things, as currently drafted, the Bill repeals the European Communities Act 1972, incorporates direct EU legislation into domestic law, preserves EU-derived domestic law and gives ministers and devolved administrations the authority to amend legislation to correct deficiencies arising from the retained EU law. On 28 March 2018, the EU Commission published a consultation paper that seeks 'stakeholder views on whether the EU framework for public reporting by companies is fit for purpose'.17 Currently, a range of public reporting requirements are set out in EU law and the purpose of the consultation is to determine whether the existing reporting framework is effective, relevant, efficient and coherent, and 'whether the EU level adds more benefits than would have been the case if the requirements were only introduced at the national level'.18 The consultation is open for comments until 21 July 2018. Given ESMA's expansive definition of 'profit forecast',22 companies need to be careful not to inadvertently include a profit forecast in a prospectus when that is not the intention. It is intended that this definition of a profit forecast should continue to apply under the new prospectus regime from 21 July 2019. 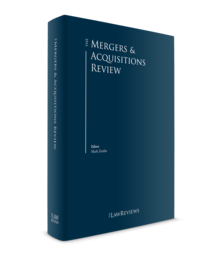 As discussed in the previous edition of The Mergers & Acquisitions Review, the General Data Protection Regulation (GDPR) was published in the Official Journal on 4 May 2016 and, as a regulation, it has a direct effect in all EU Member States from 25 May 2018. The aim of the GDPR is to harmonise the data protection regime across the European Union, replacing existing national laws based on the Data Protection Directive of 1995 (which is implemented in the United Kingdom through the Data Protection Act 1998). Under the GDPR, the territorial scope of the EU data protection regime will be significantly expanded to apply to any organisation that offers goods and services to individuals in the European Union (including those that are free of charge), or any organisation that monitors their behaviour. This means that a larger number of overseas businesses are likely to be affected. The GDPR also brings with it greater enforcement powers, and sanctions for non-compliance may lead to fines of up to 4 per cent of annual worldwide turnover or €20 million (whichever is greater). As under the current law, the GDPR will regulate the transfer of personal data to countries or companies outside the European Union, providing formal mechanisms to permit international data flows. After formally exiting the European Union, the GDPR will continue to apply to the United Kingdom because, as stated above, the United Kingdom intends to enact EU legislative provisions directly into domestic legislation to prevent uncertainty about the status of EU law after Brexit. Thus, the provisions of the Data Protection Bill 2017 will align the United Kingdom with the GDPR by repealing and replacing the Data Protection Act 1998. Under the new rules, issuers will not need to publish a prospectus if they are admitting to trading less than 20 per cent of the number of securities of the same class that are already admitted to trading on a regulated market. This increases the exception to the prospectus requirement from the current threshold of 10 per cent, making it easier to conduct smaller secondary capital raisings. This change came into force on 20 July 2017. The reformed prospectus regime also limits the inclusion of risk factors to those that are specific to the issuer or the securities and that are material to making an informed decision. Risk factors will be divided into a limited number of categories and, within each category, the most material risk factor will need to be mentioned first. The summary of the prospectus will now be limited to seven sides of A4 paper when printed, and the requirement for the format to consist of five tables has been removed. While the new rules still require the summary to have a uniform format, it is less prescriptive both in terms of content and structure. These provisions are not yet in force, but are expected to become effective on 21 July 2019. The EC Regulation on Insolvency Proceedings27 (ECIR) was introduced to facilitate the efficient conduct of cross-border insolvencies by, inter alia, allocating jurisdiction between Member States (excluding Denmark, which has opted out), and providing that there will only be one main insolvency proceeding. On 20 May 2015, the European Parliament approved a recast version of the ECIR (Recast Insolvency Regulation) and most of the provisions of the recast came into force on 26 June 2017.28 However, insolvencies commenced before 26 June 2017 will continue to be regulated by the original ECIR. The Recast Insolvency Regulation has been extended to rescue proceedings, including debtor-led pre-insolvency proceedings. It applies to proceedings that are based on a law relating to insolvency. However, it does not apply to proceedings that are based on general company law. 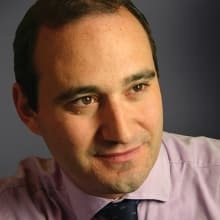 Changes to the previous insolvency regulation include the removal of a restriction that secondary proceedings must be winding-up proceedings and the introduction of a concept of 'group coordination proceedings', where a 'group coordinator' is appointed to oversee the insolvency or restructuring of a group of companies. The impact of the Recast Insolvency Regulation on acquisitions from or of insolvent companies remains to be seen. On 5 July 2016, the European Commission presented a proposal to amend the Fourth Anti-Money Laundering Directive.29 The proposed changes were made against the backdrop of the Panama Papers revelations in April 2016 and the need to strengthen the fight against terrorist financing in light of recent terrorist attacks. The European Parliament concluded discussions on the Commission's proposals in December 2017 and, on 19 April 2018, the European Parliament adopted a legislative proposal for amending the Fourth Anti-Money Laundering Directive. The aim of the proposed amendments is to 'ensure more transparency and help competent authorities to effectively detect criminal and terrorist financing flows'.30 The amendments seek to address the risks associated with prepaid cards and virtual currencies, broaden access to information on beneficial ownership and include, among other things, the addition in Article 30 (which requires Member States to ensure that corporate entities to obtain and hold adequate and current information on their beneficial ownership) of an obligation on Member States to ensure that breaches of Article 30 are subject to effective, proportionate and dissuasive measures or sanctions, and the introduction of a requirement for Member States to ensure that beneficial owners of corporate or other entities provide those entities with all the information necessary for the entity to comply with its Article 30 obligation. The amending directive will enter into force 20 days after its publication in the Official Journal. In addition, there has been a growing trend to request parties' internal documents as a source of evidence for the potential effects of the merger. In a recent speech, the Director General for Competition, Johannes Laitenberger, noted that 'internal documents are important, because they can help us understand the plans that companies have for the future and make better decisions'.32 The Director General announced plans for the Commission to issue best practice guidelines in 2018 to clarify its approach to requests for internal documents. The 2016 consultation also focuses on whether the current purely turnover-based EUMR thresholds need to be adapted to reflect new business models and, if so, the possibility of introducing complementary jurisdictional thresholds, based for instance on the transaction value.35 These proposals stem from a current debate about the effectiveness of the turnover-based jurisdictional thresholds in the context of some high-value transactions (particularly in the digital economy) involving target companies with limited or no turnover, which were not notifiable under the EUMR but may have had significant competitive effects in the EEA. The Commission has published a summary of the consultation responses received, which indicates mixed views on the proposals, in particular in relation to the proposals for new jurisdictional thresholds.36 It is unclear at this stage if the Commission will propose any legislative changes following the consultation. The Commission's White Paper, 'Towards more effective EU merger control', also proposes a mechanism to extend the current merger control regime to enable the Commission to review acquisitions of non-controlling minority shareholdings (otherwise known as 'structural links'). However, respondents to the 2014 public consultation expressed doubts about the proportionality of the proposal, in particular in view of the perceived limited scope of the problem identified.37 Commissioner Vestager noted in March 2016 that she was, at that point, not convinced that this is 'a change we absolutely have to make to our system'.38 In October 2016, the Commission published the results of a study it had commissioned to obtain further information on this topic. The study found that the number of acquisitions of non-controlling minority interests raising competition concerns is 'very low', but that 'there may be some merit' in the Commission being able to review such acquisitions. It still remains to be seen whether the Commission will propose any legislative changes in this area. State aid continues to be a hot topic. During October 2017, the Commission made three important announcements. On 4 October 2017, the Commission referred Ireland to the European Court of Justice for the failure to recover from Apple state aid of up to €13 billion in accordance with the Commission's decision of August 2016. On the same day, the Commission announced that it considered a Luxembourg ruling granted to Amazon in 2003 (and extended in 2011) illegal state aid. It concerned payments by Amazon's European operating companies to a Luxembourg limited partnership (LP) in respect of intellectual property. Payments to the LP exceeded related payments by the LP to Amazon US by a factor of 1.5. The difference remained effectively untaxed because of the hybrid nature of the LP: it was transparent for Luxembourg tax purposes and opaque for US tax purposes. Crucially, the arrangement is also subject to a challenge in the United States; the US tax authorities consider the payments to Amazon US too low. At first instance, the US courts found in favour of Amazon; an appeal is pending. It remains to be seen whether the Commission will reconsider its state aid decision if, on appeal, it is decided that the payments by the LP to Amazon US should have been at a level similar to that of the payments to the LP. Clearly, it would cause considerable additional uncertainty if the Commission's decision could be influenced by the ruling of a court outside the European Union some 15 years after the supposed aid was first granted. On 26 October, 2017, the Commission announced that it had opened a state aid investigation into the group financing exemption under the UK controlled foreign company regime. If the Commission decides that the exemption constitutes illegal state aid, the implications are likely to be particularly complex if a group relies on the partial group financing exemption. Given the interaction with the Cadbury Schweppes and Vodafone principles, such a group may find that it paid too much (rather than too little) tax. In an M&A context, the review of tax rulings and, where relevant, the use of the UK's group financing exemption should, to the extent possible, form part of the due diligence process. Where warranty or indemnity protection is obtained, purchasers should, when negotiating time limits, bear in mind the 10-year-plus look-back for state aid. While US tax reform has recently taken the spotlight, the OECD's base erosion and profit shifting project (BEPS) is still one of the hot topics in international tax. The multilateral instrument (MLI), which incorporates treaty changes required by BEPS into the existing bilateral treaties between the signatories of the MLI, entered into force on 1 July 2018. By the end of 2018, most multinational groups whose parent is resident in the European Union will have submitted their first country-by-country reports (as required by BEPS Action 13). It remains to be seen how tax authorities use the reported information once it is collected and exchanged. While Action 13 of BEPS envisaged that country-by-country reports would be confidential to tax authorities, the Commission proposed that certain information should be made public.39 On 4 July 2017, the European Parliament adopted an amended version of that proposal.40 Pursuant to that amended version, multinational groups with an annual turnover of €750 million or more, and branches in the European Union, would be required to publish a global country-by-country report. The next step is for the measure to be approved by the Council. On 15 October 2016, the Commission published a proposal to introduce the Common Consolidated Corporate Tax Base (CCCTB) in two stages with the aim of agreeing the common corporate tax base and consolidation separately. On 15 March 2018, the European Parliament approved the draft directives on both sets of measures with some key amendments. The amended text envisages that both sets of measures are to be implemented on 1 January 2020. It also includes new rules in respect of digital permanent establishments. The next step would be the approval of the amended text by the Commission and the Council. At the time of writing, it seems unlikely that approval by the Council will be forthcoming. Although it has not been officially abandoned, there appears to be no measurable progress in the development of a financial transactions tax through enhanced cooperation between the following 10 Member States: Austria, Belgium, France, Germany, Greece, Italy, Portugal, Slovakia, Slovenia and Spain. BEPS Action 1 seeks to address the tax challenges of the digital economy. On 16 March 2018, the OECD published an interim report, identifying the main challenges posed. These include nexus rules that link taxation rights to physical presence, the allocation of profits from the cross-border gathering and use of data, and the characterisation of payments made for digital products or means to deliver services. The interim report does not recommend a solution. It is intended that a further update will be provided in 2019 with a view to developing consensus-based solutions by 2020. On 21 March 2018, the Commission published two proposals for the taxation of the digital economy. The first is an interim measure in the form of a new Digital Services Tax, being an indirect tax levied at a rate of 3 per cent on turnover resulting from the supply of certain digital services.41 The second proposal is a long-term solution that seeks to widen the Member States' corporation tax bases by establishing a taxable nexus through a significant non-physical commercial presence.42 It is intended that the second proposal will eventually form part of the CCCTB. In fact, the European Parliament has included the concept in its amendments to the Commission's CCCTB proposals. It is too early to tell whether either of these proposals will change how digital services are supplied. It also remains to be seen to what extent they will be adopted. Given the less than lukewarm responses to the Commission's proposals by some Member States, including Germany and Ireland, it seems unlikely that we will see any significant developments in the near future. 2 Mergermarket, 'Deal Drivers EMEA FY 2017'. 3 Mergermarket, 'Global and Regional M&A Report Q1 2018'. 4 Mergermarket, 'Global and Regional M&A Report Q1 2018'. 5 Mergermarket, 'Deal Drivers EMEA FY 2017'. 6 Mergermarket, 'Deal Drivers EMEA FY 2017'. 7 Mergermarket, 'Consumer Trend Report Q1–Q4 2017'. 8 Mergermarket, 'Consumer Trend Report Q1 2018'. 9 Mergermarket, 'Deal Drivers EMEA FY 2017'. 12 Mergermarket, 'Global and Regional M&A Report Q1 2018'. 13 Mergermarket, 'Deal Drivers EMEA FY 2017'. 14 Mergermarket, 'Global and Regional M&A Report Q1 2018'. 17 European Commission. 'Consultation Document – Fitness Check on the EU Framework for Public Reporting by Companies'. https://ec.europa.eu/info/consultations/finance-2018-companies-public-reporting_en. 19 Commission Regulation (EC) No. 809/2004 of 29 April 2004. 20 ESMA. Questions and Answers – Prospectuses. 28th updated version – March 2018. 22 https://www.esma.europa.eu/sites/default/files/library/esma31-62-780_qa_on_prospectus_related_topics.pdf at p. 81. 23 Information Commissioner's Office. 'Guide to the General Data Protection Regulation (GDPR)'. https://ico.org.uk/for-organisations/guide-to-the-general-data-protection-regulation-gdpr. 26 Council of the European Union press release 260/17, 'Capital markets union: new prospectus rules adopted', 16 May 2017. 27 Council Regulation (EC) No. 1346/2000. 30 European Commission. Executive Summary of the Impact Assessment accompanying the document 'Proposal for a directive of the European Parliament and of the Council amending Directive (EU) 2015/849 on the prevention of the use of the financial system for the purposes of money laundering or terrorist financing and amending Directive 2009/101/EC'. 5 July 2016. 31 Innovation in EU Merger Control (speech by Carles Esteva Mosso at the ABA Section of Antitrust Law Spring Meeting, Washington), 12 April 2018. 32 Enforcing EU competition law in a time of change: 'Is Disruptive Competition Disrupting Competition Enforcement' (speech by Johannes Laitenberger), 1 March 2018. 34 Refining the EU merger control system (speech by Commissioner Margrethe Vestager at Studienvereinigung Kartellrecht, Brussels), 10 March 2016. 35 A similar debate has been occurring at national level in the European Union. Notably, the German and Austrian governments have recently voted in favour of legislation introducing an additional jurisdictional threshold relating to the transaction value, which will apply as an alternative to the existing turnover-based criteria. 36 Summary of replies to the Public Consultation on Evaluation of procedural and jurisdictional aspects of EU merger control, July 2017. 37 Commission Staff Working Document, accompanying the European Commission's Report on Competition Policy 2016, published on 31 May 2017. 38 Refining the EU merger control system (speech by Commissioner Margrethe Vestager at Studienvereinigung Kartellrecht, Brussels), 10 March 2016. 39 European Commission Proposal COM/2016/0198. 41 European Commission Proposal COM(2018) 148 final. 42 European Commission Proposal COM(2018) 147 final.